Welcome to Straylight. We are a Nordic Insight agency working the latest research methodologies and a high level of customer service. Contact us if you need market research and insight generation on the Nordic market. We have many international clients that we serve with our convenient on-line approach. >Chat now with Straylight here! Working with neuromarketing is a lot about looking ahead and moving forward in trying to understand more of our cognitive brains and how we make decisions in everyday life. Since neuromarketing has come a long way in exploring this field the last decade, it’s interesting to look back at some of the big brands that has successfully applied it’s methods. Huge companies such as Microsoft and Google have been known to use insights from neuromarketing techniques in both market analysis and product development. Back in 2006 Microsoft used EEG to understand what triggered engagement among Xbox gamers while playing. Google used neuromarketing in developing SEO structures, using the techniques to compare websites and to find the content that is most relevant and engaging. Google rewarded the websites that had strong visual appeal, unique content and the ability to deliver emotional engagement that increased retention. 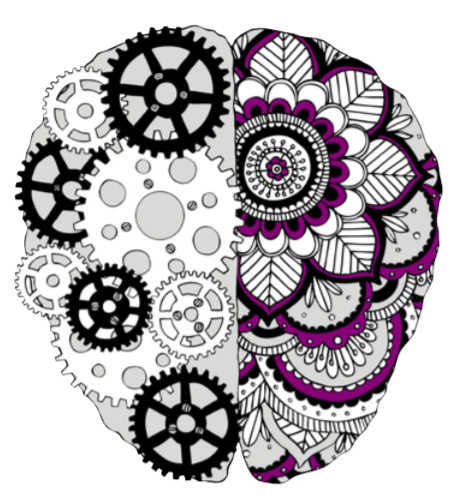 Both these examples indicate that companies working with neuromarketing are using the techniques for different purposes and in different areas. The past decade companies have used neuromarketing in both print ads, TVC as well as in product development and package design. Below we list some of the best-known examples of companies using neuro-insights in recent years. Frito-Lay has used neuromarketing in both their TVCs and package designs. A few years back prior to a product launch in the potato chips segment, they did some product design testings and the result yielded some crucial findings. They discovered that shiny bags with pictures of chips triggered negative responses compared to bags with a matte design. In conjunction with in-depth interviews, these findings eventually resulted in changes regarding to color, typing, imaging etc. This became the end of shiny Frito-Lay bags in store shelves. Frito-Lay also tested a commercial for Cheetos using both focus groups and EEG combined. The advertising for Cheetos featured a woman performing a prank on another person by putting orange snacks in a dryer full of white clothes. Participants in the focus group initially stated they disliked both the prank and the commercial. When running an EEG study on the same participants they found positive brain activity showing people actually loved the ad. Why participants stated otherwise in the initial interviews was because they didn’t want to appear mean-spirited in front of other group members. Hyundai and their prototype tests is another famous case regarding the use of neuromarketing in design. Hyundai used EEG technique to evaluate design. While letting consumers examine car prototypes, Hyundai used the EEG to understand preferences and what kind of stimulation that can lead to purchase decision. Hyundai later did some exterior design adjustments according to the findings. Yahoo used neuromarketing in evaluating a 60-second television commercial. The ad featured happy, dancing people around the world and was a part of Yahoo’s new branding campaign with the purpose to bring more users to the search engine. Yahoo ran some tests using EEG-technique before airing the ad on TV and online. The ad scored well in the neuro-tests, showing stimulation in areas controlling memory and emotional thought. Ebay’s PayPal used neuromarketing to get more e-shoppers to use its online payment service. PayPal discovered that commercials focusing on USPs such as speed and convenience triggered a significantly higher response in the brain compared to promoting functions such as safety and security. Pay pal used these insights when creating their new advertising for the online payment service. The above listed examples are just a few of the most written-about companies and their use of neuromarketing. It’s obvious that companies are realizing that there are valuable insights waiting to be gained within the minds of the consumers. Frito-Lays CMO stated, during their research, that brain-imaging tests could be more accurate than focus groups. Hyundai’s manager of brand strategy announced their reason of using the methods, saying they want to really know what consumers think about a car before the start making thousands of them. Looking forward it will be interesting to see at what place in time the majority of CMOs start reasoning alike.